Philippine Ambassador to Spain, H.E. 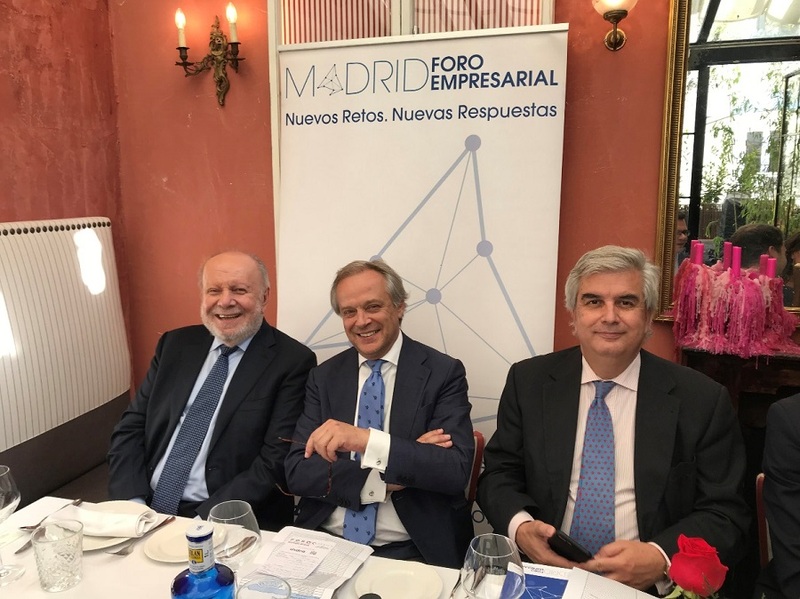 Philippe J. Lhuillier, joined members of the Madrid Foro Empresarial (Madrid Business Forum) at a business lunch, where the Ambassador gave a presentation on the Philippine economy to representatives from 15 companies. Guests at the event included representatives from El Corte Ingles, the largest department store group in Europe; Spanish bank Ibercaja; Pacadar, a prefabricated concrete manufacturer; Obrascón Huarte Lain, a Spanish-based multinational construction and civil engineering company; HaiKe Group, a chemical manufacturer based in China; Moore Stephens global accountancy and advisory network; and several other firms. Ambassador Lhuillier spoke about the Philippines’ rapid growth and numerous business opportunities, presenting his own extensive experience as a successful entrepreneur as an example. 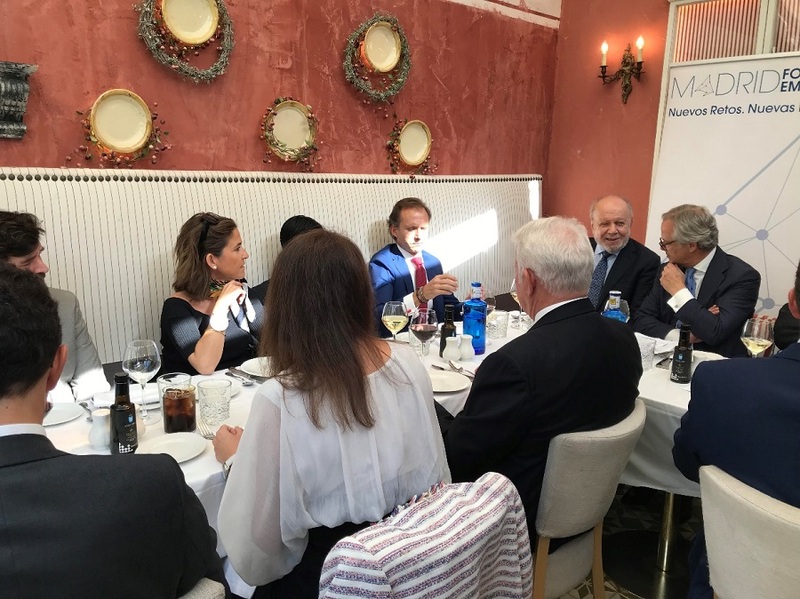 He spoke of his intention to found a Casa Filipinas-España center in Madrid, to serve as the hub for Philippine trade and investments, culture, and tourism. Ambassador Lhuillier also mentioned that the Philippine Embassy in Madrid was now working with private sector representatives to form the Philippine-Spanish Chamber of Commerce. Third Secretary and Vice Consul Mikhal de Dios then provided the guests with more details and figures on the Philippine economy and its growth trajectory over the past decade, as well as information on the country’s demographic sweet spot and its highly-educated and skilled labor force. He mentioned current Spanish investments in the Philippines and the presence of Philippine brand Grupo Emperador in Spain, as well as the recently-signed bilateral Air Transport Agreement. After the event, the Philippine Embassy sent the attendees a comprehensive economic diplomacy presentation on the Philippines, containing incentives for foreign investors. Guests at the business lunch listen to Ambassador Lhuillier’s speech on the Philippine economy.